Convenient, tangle-free storage for anchor rodes; Durable mesh design. 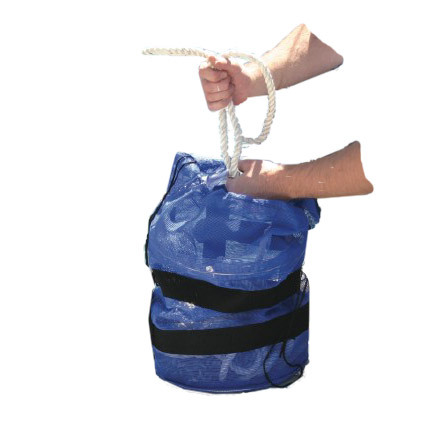 Durable mesh bag provides a convenient and tangle-free place to store your anchor rode. A number of features add to the life of your rode and make it easier to deploy. The wide mouth is held open with an internal stainless steel ring, but closes easily with a drawstring.